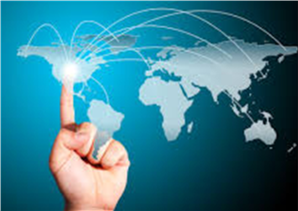 Supply Chain thrives with Effective Planning! Planning is critical first step in developing an efficient supply chain and effective supply chain leads towards organizational excellence. Right inventory availability at the right place is crucial to success of any business. Probably that is the reason the logistics is defined as “time related positioning of resources.” Inventory is a resource and time related positioning of the inventory in the required location makes supply chain a success. We often hear about “sales loss.” Sales loss is a hypothetical situation where the organization would have sold goods, had they carried the right inventory at the defined location. 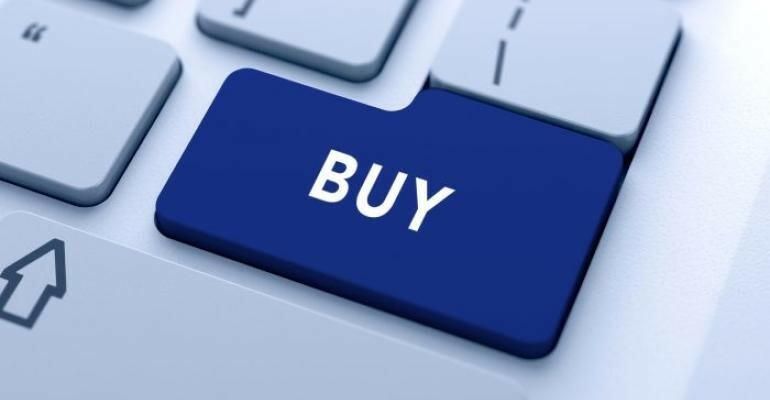 We all know that having appropriate inventory is not only the main reason to convince the customer to buy but without even having inventory the organization has no hope of even attracting the customer’s attention. In order to carry the appropriate inventory at the required location, planning is the management process that helps organizations in carrying inventory that is appropriate for that location and when required, there is no point carrying rain coats inventory during the summer. Management of inventory is a powerful driver of financial performance. In response to slowing growth and pressures on profitability, many companies today are exploring new ways to manage inventory effectively. Effective inventory management is only possible when tight planning is in place. Improved inventory management frees up cash to be invested elsewhere, allows products to be sold at lower prices, facilitates entrance into new markets, and delivers other benefits that improve financial performance and create competitive advantage. Keeping in view of the importance of Planning, many organizations globally follow a business process called S&OP (sales and operations planning). The key objective of S&OP is to integrate all business functions and make them focus towards common goal. In order to make it happen we need three key elements, effective planning business process, ERP (software tool) and people to create a plan using the tool to deliver a management vision which will enables supply chain to function effectively. 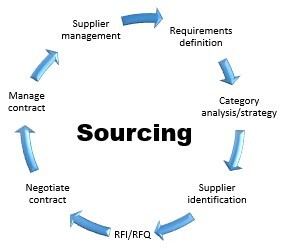 In brief supply chain function is to source the right product at the right price, manufacture a product that is the core strength of the organization and deliver the product to the buyer to make profit and grow business. The S&OP process starts with an annual business process of finding answers to critical questions such as product mix, make or buy, what to sell and where to sell etc. Once the clarity is established with regard to the goal/vision of the organization, the monthly, weekly and daily planning kicks-in as S&OP business process. The S&OP process start with data gathering and review/cleansing the same. The data gathering exercise includes both backward looking (past sales) and forward looking (forecast). 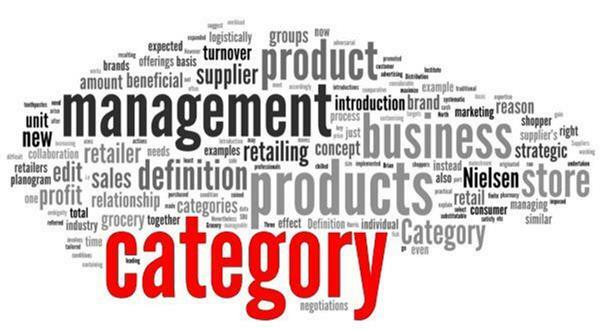 At this stage the S&OP manager plays a very critical role of suggesting any abnormality in the forecasted product taking into consideration various factors such as product availability, NPI (new product introduction), EOL (end of life), components constraint, product strategy etc. The second step involves collaboration with the sales force to understand the demand forecast in an unconstrained environment. The S&OP team reviews the numbers and constraints if any and agree to the plan which is Demand Forecast/Plan. The third step is planning supplies to match the forecast. In my opinion this is the critical step and many organizations have failed in translating the demand into a supply plan. Further, due to software limitations the forecast never gets converted unless true demand in the form of sales orders is loaded in the system. As the prime objective of planning is to optimize the inventory levels, every care is taken to order what is required. 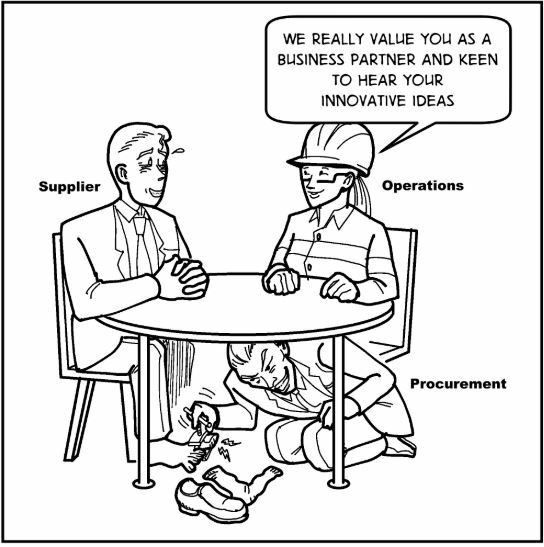 However, business dynamics do not follow a plan resulting in artificially created shortages. Sometimes these shortages may not be true shortages. Product could be available in a wrong place. In any distribution network, inventory is carried in multiple levels, such as manufacturing locations, central distribution facilities, country distribution facilities, etc. It would be highly challenging to predict the sales/demand by SKU and by location. And that could be the reason for forecast inaccuracies still exists causing product supply disruption. The fourth step is very critical and again collaborative in nature. There is a tendency to forecast higher numbers keeping in view of shortages in the past or there could be true increase in demand. The increase in numbers raises questions on production capacities and infrastructure challenges. A consensus is needed to agree to a plan which is optimal taking into consideration various business constraints. The fifth and final step is to obtain executive buy-in. This step ensures that all forces driving organizational growth are aligned working towards common goal with agreed plan. Having said that, in reality all steps explained above may not happen as planned and that could result in back orders or past due orders. In short back order is a true sales order not fulfilled as promised due to material shortages. The back order could be a result of various factors such as ineffective demand forecasting, poor supply planning, system (ERP) glitches, badly managed sourcing rules, incorrect product lead times etc. All these dynamics play a vital role in strengthening planning activity. 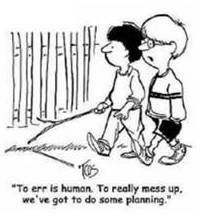 Having a plan is as important as executing the same efficiently. Back orders are the results of mixture of poor planning, inadequate distribution network and negligence resulting in carrying in aged master data resulting in poor promise dates and also forecast buckets. Promise date is the date indicated for order execution based on lead time, inventory availability and forecasting. What are the benefits of effective planning? Planning eliminates uncertainties’ to a large extent. Indirectly improves employees’ morale as organization delivers better results. How inaccurate is planning Globally? Source: “Benchmarking Forecasting Practices” (2006) by Chaman L Jain and Jack Malehorn. Management Support – 54% Respondents indicated that their Management supports Planning Function. Forecasting as a Discrete Function – Only 36% respondents indicated that their organization has separate Planning function. Forecasting function responsibility rests with Supply Chain Function, it is moving away from Finance function. Conflict of Interest – A full 60% of respondents said that in developing a final forecast, there was some bias on the part of managers providing input from various other functions (sales, marketing, production, etc. ), with the strongest response in this direction from the consumer package goods industry. Consensus Forecasts – 49% survey respondents agreed that they use consensus forecasts. Forecast Horizon – 36% of respondents forecast one year out, versus 34% who forecast over a horizon longer than one year. 16% have only a quarterly horizon, and 13% forecast for only the following month. Forecast Buckets – Not surprisingly, a plurality of 38% forecast in monthly time buckets, versus 17% that use weekly forecasts, 14% that do quarterly forecasts, and a surprising 22% that just use annual forecasts. Production Lock-Down: 45% of the companies in the survey (all industries combined) lock their production schedule one month out, versus 20% at three months and 16% at two months. 9% claimed to lock product schedules more than 6 months out. Forecast Monitoring: 72% of companies consistently monitor, and 67% of them revised forecasts on a monthly basis. Consensus Meeting – According to the survey, 76% of companies have some form of consensus forecast meeting. S&OP Planning – 70% of companies say they use an S&OP process in their companies. Collaborative Planning, Forecasting, and Replenishment (CPFR) – 43% of companies have taken such an initiative, and is growing. That is 13% increase over 2006 numbers. Source: Annual Forecasting Benchmark Data Released by Forecasting Institute – Published in Supply Chain Digest. 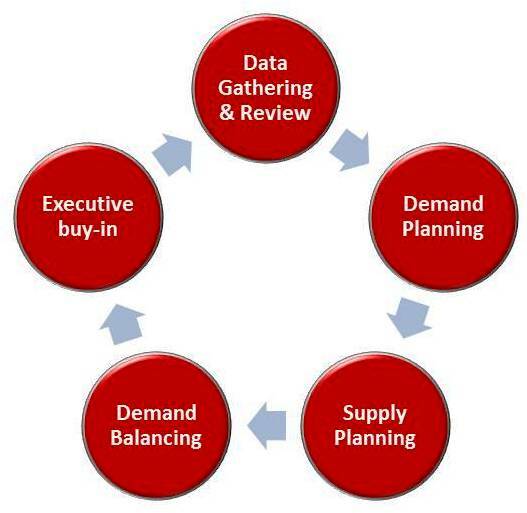 A good planning process is vital to supply chain continuity. A strong supply chain continuity capability ultimately relies on strong, well-chosen and well managed business planning process in a collaborative environment. The benefits of a strong planning process include collaborative partnerships within and outside organizations. Planning is a disciplinary business process which infuses serenity to the business and minimizes uncertainty.